Windows 10 November Update Available Today | Richard M. Hicks Consulting, Inc.
Today Microsoft announced the availability of the November Update (formerly Threshold 2) for Windows 10. With this update, Microsoft is now touting Windows 10 build 1511 as “enterprise ready”, with a number of key features and enhancements designed to drive enterprise adoption for the client operating system. Performance Improvements – According to Microsoft, the Windows 10 November Update includes important improvements in performance, improving boot time almost 30% over Windows 7 installed on the same system. Windows Store for Business – The Windows Store for Business provides IT with a mechanism to provision and manage apps for Windows 10 devices, both from the Windows Store and their own line-of-business apps. Telemetry Control – Beginning with Windows 10 build 1511, enterprise customers will now have the ability to completely disable all Windows telemetry. Although not recommended, this feature is essential for many organizations to maintain the highest levels of security. Since Windows 10’s release in late July of this year, enterprise customers have deployed Windows 10 on more than 12 million business PCs. Many organizations who have not yet upgraded are in the planning and pilot stages today, or will be soon. The enterprise adoption rate for Windows 10 continues to accelerate, and no doubt will do so even more with the release of Windows 10 build 1511. 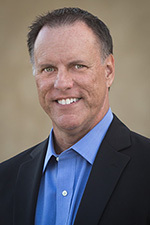 Don’t forget that Windows 10 already includes a number of important security advancements such as Credential Guard to mitigate various credential theft attacks, Device Guard to prevent installation of malicious software, and Windows Hello to strengthen authentication with the use of biometrics. These features, along with the new capabilities and services introduced today, continue to make Windows 10 a compelling client operating system in the enterprise. 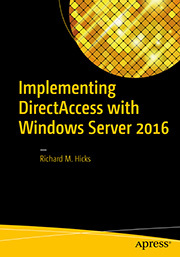 Of course the perfect complement to Windows 10 in the enterprise is DirectAccess. To learn more about how to maximize your investment in Windows 10 with DirectAccess, here are some essential references. In addition, DirectAccess consulting services are also available. More details here. Using Windows 10, DirectAccess and (RSA) OTP Token resulted in an error when entering the OTP credentials. This was solved by the November update! Any word on Windows 10 mobile having working with DirectAccess? Not to my knowledge. 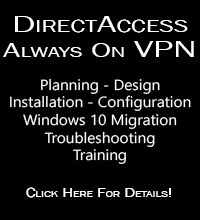 DirectAccess requires that the client be joined to the domain (Azure AD won’t work) so unless that happens, DirectAccess won’t be supported on Windows 10 mobile.